Inspired by the spices, herbs and fruits from across Southeast Asia, our gin is crafted in a Living Distillery sourcing the best that the region offers. We are not restricted by geographical boundaries or traditional methods of distilling. We go to where the purest ingredients are found and discover where the best capabilities lie. 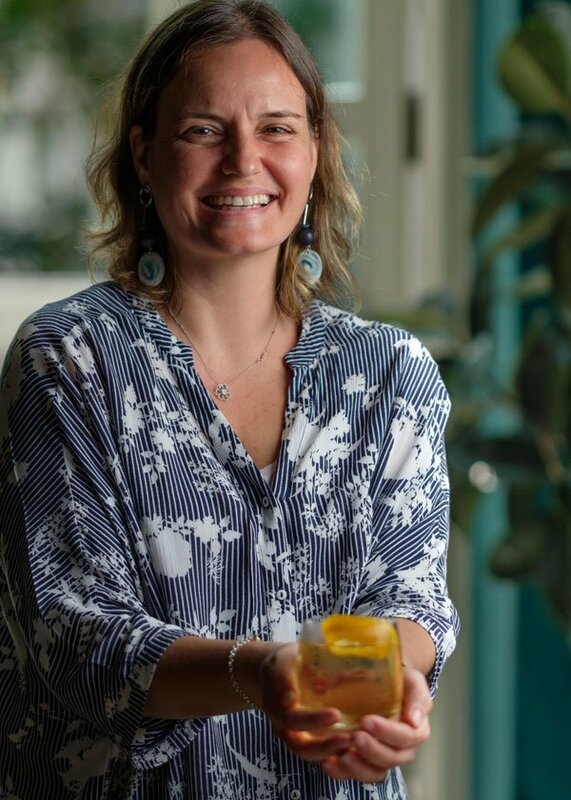 Our founder Simin Kayhan Ames, a global citizen and spirit hunter originally from Turkey set out to craft a gin where you would notice the difference and give a voice to under-represented ingredients from Southeast Asia. A unique aspect of Paper Lantern Gin is the base spirit. Different from most distilleries in the world who buy their neutral base, our base is made from rice at the distillery. This rare production methodology enables us to oversee production from start to finish. All the botanicals are sourced from Asia, besides the Juniper Berries which need cooler temperatures to grow. Sichuan peppercorn, makhwaen – a cousin of the Sichuan peppercorns native to Northern Indo-China – ginger, galangal, lemongrass and other Asian herbs and spices are hand cut and macerated in our rice base spirit before being distilled in a Holstein copper pot still with a top mounted column for superior flavor extraction and spirit rectification. The distillates are then slowly blended and finished with a light kiss of longan berry honey, directly sourced from nearby villages in Northern Vietnam. With the very first sip of your Paper Lantern, expect a different type of gin crafted with eight botanicals. The World Drinks Awards recognize the world’s best drinks through meticulous judging process. This global awards aims to recognize the best spirits in their many different categories and style. 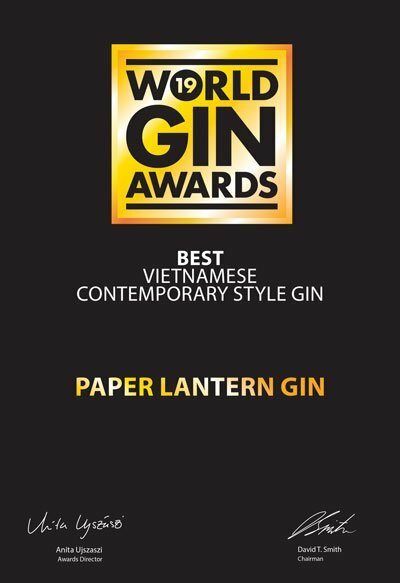 2019 World Gin Awards were announced in February and Paper Lantern has been awarded the Best Contemporary Style Gin in Vietnam. 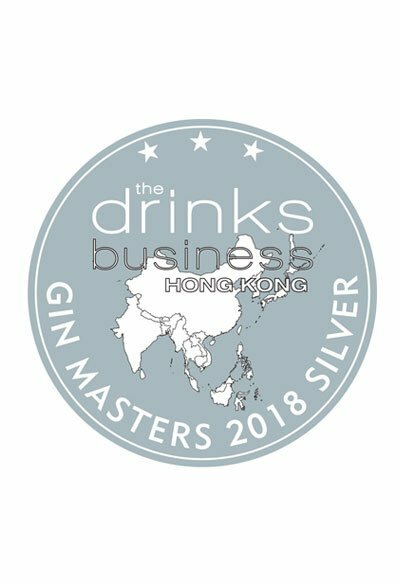 Batch 3 has been awarded two Silver Medals from the drinks business Hong Kong World Gin Masters 2018. Paper Lantern Gin won double silver medals in the Super Premium and Contemporary categories . Paper Lantern Distilling was founded by Simin Kayhan Ames and her husband, Rick Ames. Global citizens with a shared interest in how different flavors are incorporated into drinks, the couple were home brewers and part of the burgeoning craft beer scene in Boston. Growing plants on their balcony and keeping beehives which were harvested to make honey liquor; creating their own unique spirit one day was always on the cards. When Simin came to Asia in 2010, she was inspired by the variety of fruits and spices available in Southeast Asia. Moving to Singapore in 2012, the couple discovered that the abundant and versatile Asian flavors so celebrated in the region’s food, were under-represented in global premium spirits. The idea was born to create spirits that represented the flavors of Southeast Asia and Paper Lantern was incorporated in 2013. In September 2015, Simin left her job in corporate finance to devote her time exclusively to the brand as the CEO of Paper Lantern. Paper Lantern Gin was launched in May 2016 via a highly successful crowdfunding campaign. The recipe was perfected over nine months after foraging the wet markets and fields of Southeast Asia. A true artisan, Simin is proud of the fact that the gin she crafts contains no flavorings, coloring or preservatives. Instead, its made with simple, clean and pure ingredients from nature. Paper Lantern Gin is currently available in leading cocktail bars, hotels and retail shops in Singapore and we are expanding across Southeast Asia, Australia, New Zealand and Europe. If you’d like Paper Lantern to come to you, reach out to us.